The Development Assistance Coordination Office (DACO) in the Ministry of Finance and Economic Development ( MoFED), in collaboration with the Public Financial Management Improvement and Consolidation Project(PFMICP) has ended a week Regional training for Monitoring & Evaluation Officers and Development & Planning Officers in Devolved MDAS and Local Councils on the rolling out of the new and upgraded version of DAD to Ministries, Departments and Agencies. The training was sponsored by the Public Financial Management Improvement and Consolidation Project through funds donated by donor partners. According to officials of DACO, the Government of Sierra Leone is committed to promote aid effectiveness, and the coordination of accurate, timely and complete information on development assistance, as it is critical in supporting aid effectiveness and coordination. 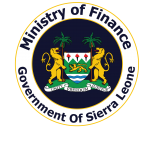 The DAD Sierra Leone is a government – Owned web – based aid information management system, managed by the Ministry of Finance and Economic Development through the Development Assistance Coordination Office (DACO). The new and upgraded version of the DAD that is rolled out to Ministries Department and Agencies ( MDAs) and Local Councils ( LCs) tracks project – level information on commitments and disbursement by donor. To increase aid effectiveness, it is important to increase the Government of Sierra Leone’s capacity to collect and analyze pertinent data /information on aid . This has to be at the national level so as to identify where gaps exist in the provision of public goods and services in order to direct government expenditure and coordinate donor activities to localities and sectors that are most in need. The Purpose of the training was to inform the MDAs at the District level and the Local Councils on effective use and essence of the upgraded DAD, in terms of eliciting valuable donor information as well as the Sierra Leone Aid Policy. The DAD training will explain the functions of the DAD; define roles and responsibilities and explain procedures for data entry and management in order to increase the quality of data. The roll out of the new and upgraded version of the DAD will last for a day in each district. The Aid Data Officer, at DACO David AK Abu, in an interview with the PFMICP IECMO Officer, said the purpose of the training is to enlighten Development and Planning Officers as well as Monitoring and Planning Officers, in the region about the Development Assistance Data base(DAD). He went on to say that the training was to see how best the Development Assistance Data Base(DAD) can reach the regional level, noting that DAD is a system that track project level information at district regional level. David Abu added that each and every assistance coming into the country through the donor is being tracked by the DAD, noting that the people in the region are the ones responsible for the information such as implementation of the project at local and regional level. He stressed on the need to always have the consent of the Monitoring and planning Officers , as to how implementation of Projects in the country should be carried out. The Aid Data Officer said they targeted the Monitoring and planning Officers, based on the fact that they are dealing with projects directly especially Donor funded projects, making it clear that they are expected at the end of training, to always be able to access the DAD system, feed them with information they need at regional level and see how they can work amicably to get proper information to enlighten the DAD. Facing difficulties in accessing Project Documents, for instance there are NGOs implementing projects in the regions without producing the Project Documents. Speaking on behalf of the participants, Monitoring and Evaluation Officers, Port Loko District Mohamed Ibrahim Sesay, said the training is timely as it’s about tracking the activities of donor funded projects at regional level. He noted that one of their biggest challenge as M&E Officers is accessing project documents implemented in their district. According to Mohamed Sesay, it is impossible to engage in monitoring of Projects without the documents. He pointed that they are gathered to be trained on the DAD soft ware package which is a system that will be used to track donor funded projects which will help them to embark on their monitoring exercise. Mohamed Sesay stated that training will benefit the Councils greatly in the areas of tracking activities implemented at regional level, as the DAD system include all donor funded projects.